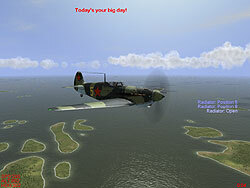 Falcon 4 testing was changed for this review as SimHQ has decided to use the FreeFalcon 3 upgrade rather than SuperPAK 4. Our in-house test still consists of a low level, air-to-ground flight consisting of two Falcons using Mk20s and Mavericks. Falcon 4’s performance continues to be completely independent from the graphics sub-system, though the frame rate is significantly lower with FF3 used than with the latest SuperPAK. Worth noting is that the game’s ground textures still exhibit a large, distracting amount of aliasing, making improved texture filtering very important for getting good image quality in this particular sim. SimHQ tests Far Cry (v1.1) with all in-game graphical options placed at their highest settings and sound disabled. The map, Research, is used because it includes an excellent mix of beach, jungle, and interior settings that exist throughout the game’s various levels. Fraps is used to record performance as the same path is taken through the map for each test. Anti-aliasing is enabled using Far Cry’s menu, while anisotropic filtering is forced via the driver control panel. Graphically intensive, Far Cry scales well with resolution and setting changes. The game is certainly playable on the Ultra/2100 with AA or AF enabled at 1024×768, and possibly 1280×960 depending on an individual gamer’s preferences. Similar to IL-2’s scores, anisotropic filtering also imposes a much higher performance penalty than anti-aliasing. Call of Duty’s Dawnville demo was used to test this OpenGL title based on id Software’s Quake 3 engine. The included timedemo utility was used to record performance rather than Fraps, and the “com_maxfps” command was used to raise the default frame limit of 85 fps. While anisotropic filtering penalizes Call of Duty’s frame rate more than anti-aliasing, either setting gives outstanding frame rate at the highest resolutions. 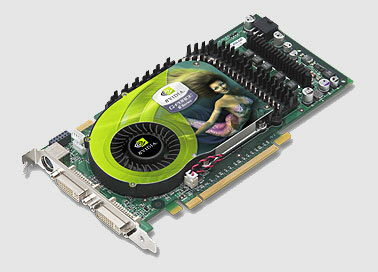 NVIDIA’s excellent OpenGL support certainly shines through for the aging Quake 3 engines and the games based on it.